This holiday season is bringing a flurry of emotions for me, and I have a better understanding of how stressful this time can be in the families we serve. Lately, it has been a reminder of special people that are no longer sitting across the table from me, and family members that live too far away to see daily. But I am trying instead- to use this opportunity to become more mindful and present in the moments I do have with those I care about. We don’t have to celebrate Thanksgiving to be grateful; we can do that every day. I am grateful for the memories I have and for the new ones that will be filled with new personalities. 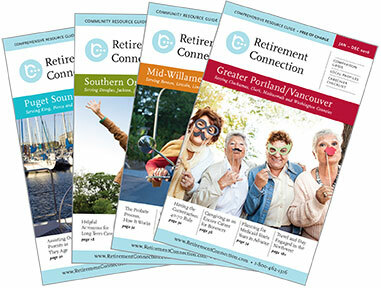 The next edition of Retirement Connection will hit the streets in less than 1 month. If you know a business that should be included that is not- please let us know today, as we are prepping for print. Also, save the date for our Annual Release Party on January 24th. Last year we had more than 400 guests and it was amazing; take a look at last year’s photos and see for yourself. RSVP today. 3 PM Save the date! 8 AM Save the date!